It is that time again to Find the Hero in You by donating a pint of blood. 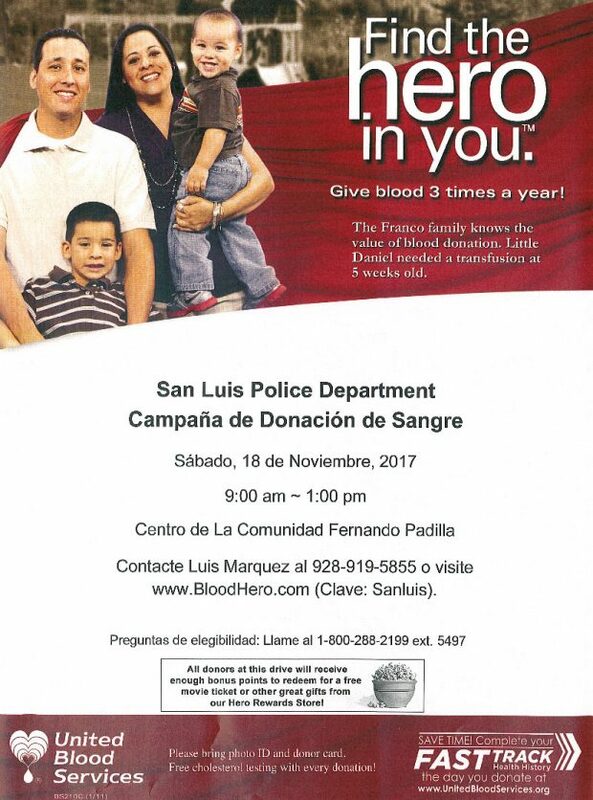 Remember that by donating blood, you help save up to three lives! Please join our Blood Drive on Saturday, January 20, 2018 from 8:30 AM to 12:30 PM at the Fernando Padilla Community Center. 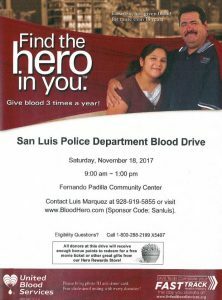 It is that time again to Find the Hero in You by donating a pint of blood. 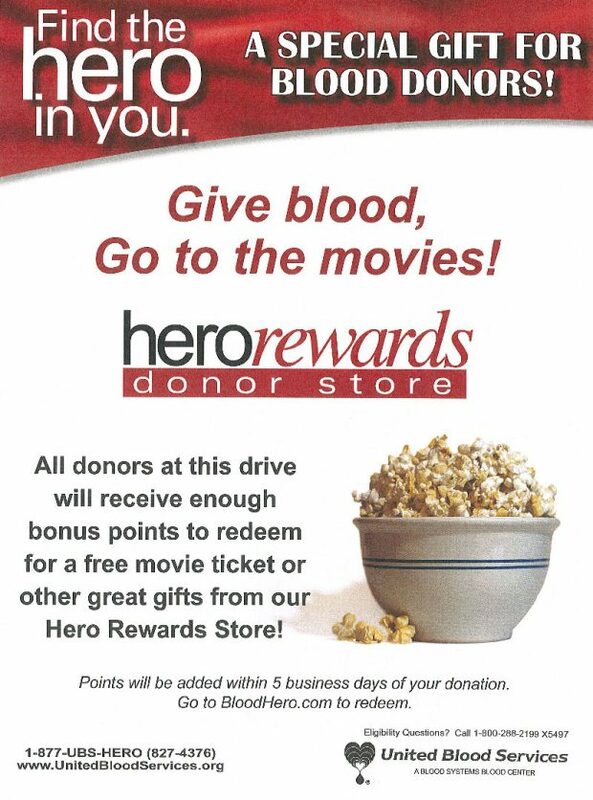 Remember that by donating blood, you help save up to three lives! 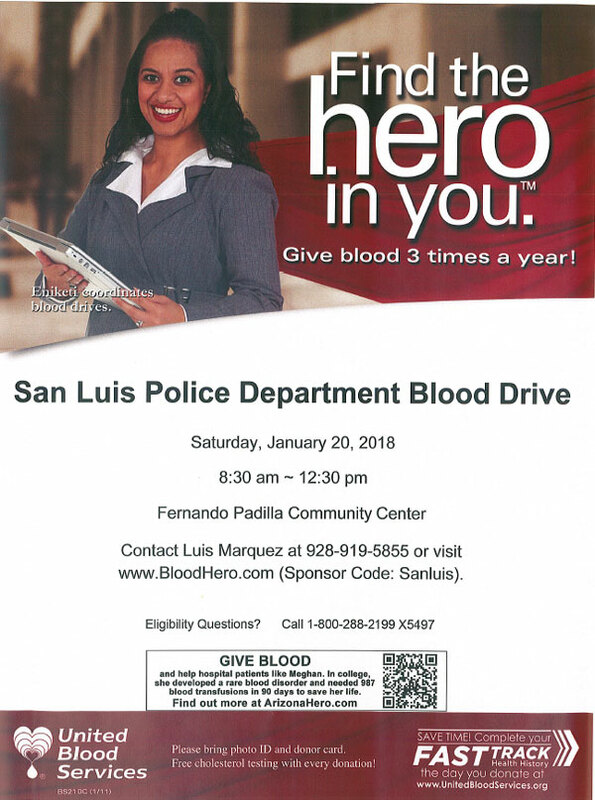 The San Luis Police Department will like to invite the community to join our Blood Drive on Saturday, January 17, 2015 from 9:00AM to 2:00PM at the Fernando Padilla Community Center located at 800 East Juan Sanchez Boulevard in San Luis, Arizona. A person can donate every 52 days or 6 times a year. 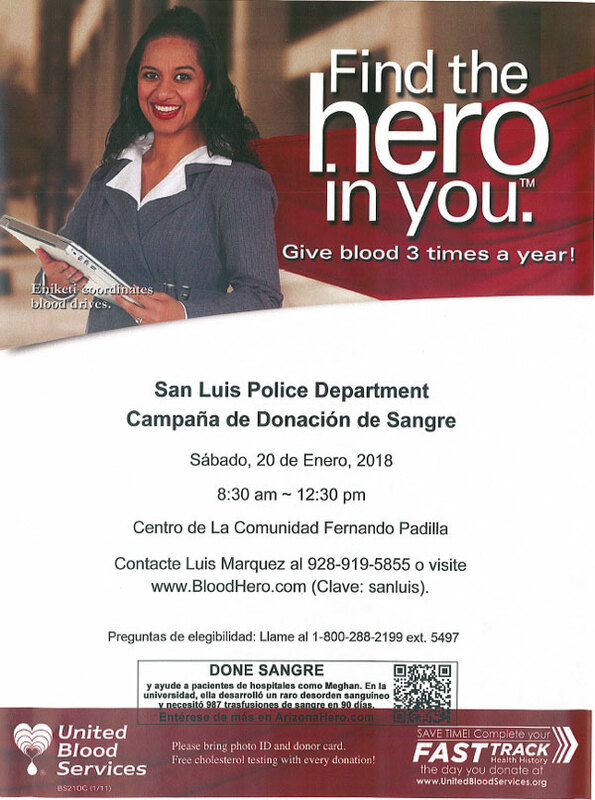 All participating donors will help save up to three lives and at the same time, it will be a great opportunity to have your cholesterol level checked. 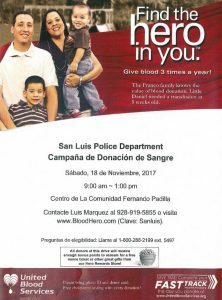 The need for blood is constant and ongoing. Arizona needs 700 pints daily for patients and victims of accidents, burns, cancer, among others. 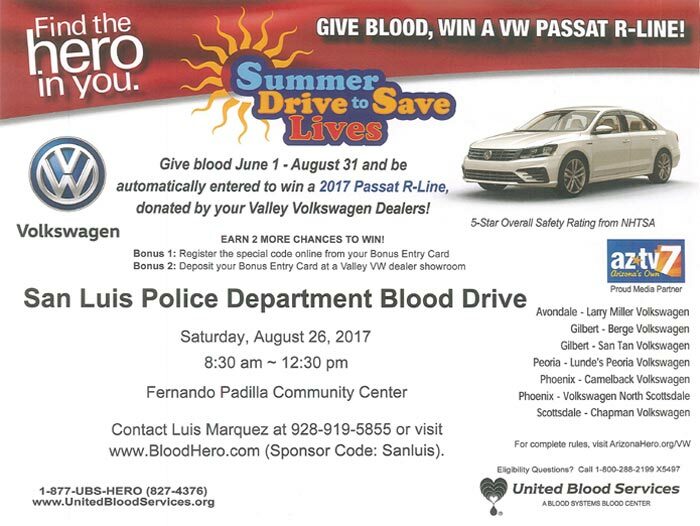 The SLPD started doing the blood drives about 10 years ago. 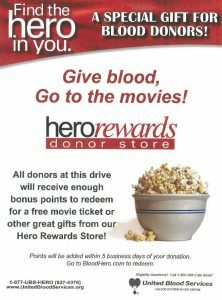 There are three blood drives a year and we average between 70-90 pints per year. 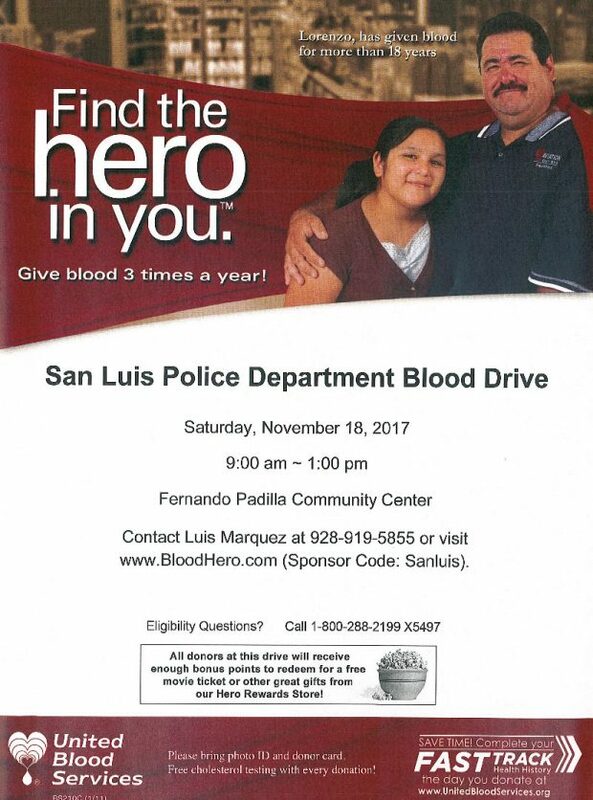 We invite the community to share this information with family and friends.